Like any other document attestation, the act of Transcript Certificate Attestation affirms the fact that the document/certificate issued by an authorised entity/board/authority with their official seal and signature is genuine and thus can be used for further processing in India or abroad. 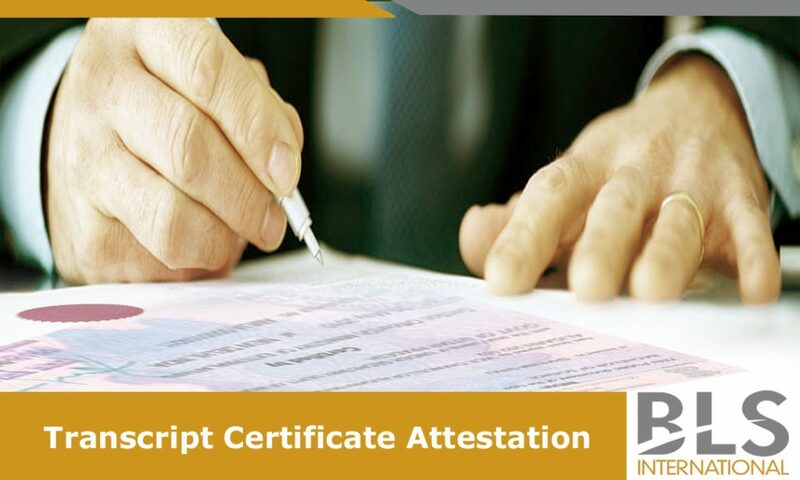 A Transcript Certificate comes under the Educational Documents and attestation of such document/certificate can be done from the issued country of the certificate. For using the degree certificate in India, it should be attested from the concerned HRD/MEA and corresponding Embassy of the visiting country. To be more explicit about transcripts, it can be both official as well as unofficial. An official transcript often contains an identifying image/logo on the document and it bares the official seal and signature of the authorised individual/counsellor/principal. When a transcript is required by an employer, it has to be requested by the student or alumnus. Thereafter, the same is sent directly from the High School or college to the office of Human Resources. Accordingly, the high school and college students need to contact the Guidance Office and Registrar’s Office respectively to obtain an official transcript. On the other hand, an unofficial transcript when requested, the same is acceptable to send a photocopy or a downloaded copy of transcript as long as the document contains the required information. Applicants in quest of Transcript Certificate Attestation services in India can reach out to BLS Attestation Services, which is a trusted partner of MEA, New Delhi and the organisation takes care of the administrative functions of the attestation process at absolutely affordable charges. Over the years, the organisation has set up several attestation centers across major Indian cities including Delhi, Mumbai, Chennai, Kolkata, Bangalore, Pune, Kochi, Gujarat and Punjab. The organisation is poised to deliver impeccable attestation services to the applicants in hassle free manner. In order to sustain its service standards, the organisation employs a team of dedicated workforce who are well-acquainted with the entire application procedure of attestation. While applying for the Transcript Certificate Attestation services in India, applicants need to provide various documents to get this practice done. Some of these documents include Original certificate, Passport copy, Visa Copy, Degree copy, all year mark sheet, HSC Certificate and SSC Certificate. Being one of the acknowledged players in the said provision, BLS Attestation centers also renders various other services pertaining to SMS, Courier Services, Translation, State Attestation, Diplomatic Mission Attestation etc. The key attributes of this service provider is quality and time-bound service.